Layout-8000 interfaces with many proprietary pagination systems (i.e. CCI, Hermes, etc.). Contact SCS for more details. In addition there are interfaces to the leading desktop publishing applications. There are three tools to choose from - one reads the dummied page geometries and creates pages for InDesign®, another does the same for QuarkXPress® and the third does it for Scribus (free open source desktop publishing software). In each case the tool reads Layout-8000’s electronic dummies, imports editorial copy from your paper’s editorial system and places display ads in any recognized format onto pages. 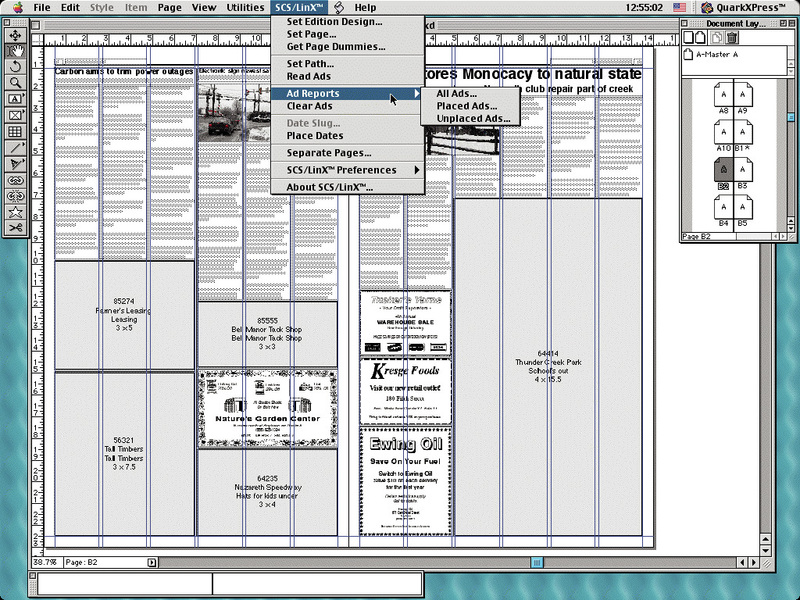 Finally, you finish the pagination process and produce completed pages on film or paper with a PostScript® imagesetter. 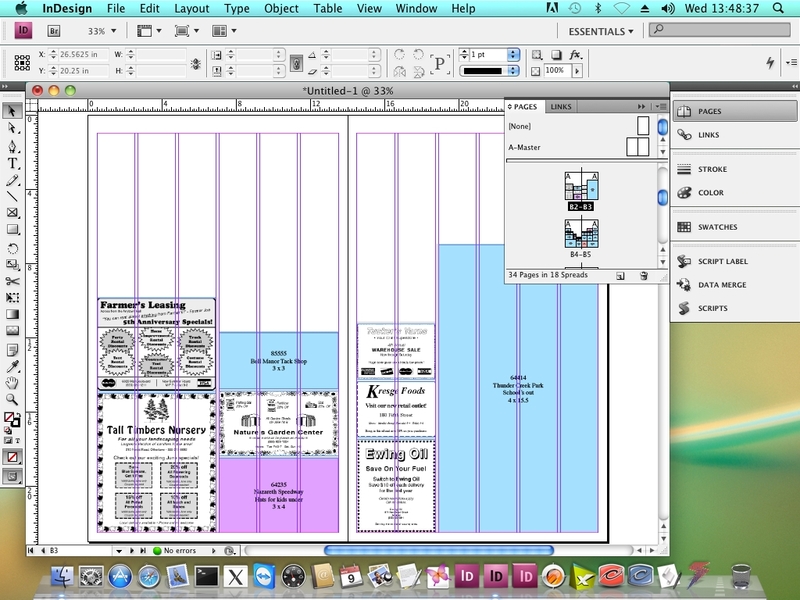 Imports edition designs and ad dummies into InDesign documents and then automatically places ads onto their pages. It accepts as input the industry standard OUTEXT text file. InLay is currently available for “InDesign” CS3 through CC 2018; Mac and Windows. Performs the same functions to create QuarkXPress pages. SCS/LinX is currently available for “QuarkXPress” 4 through 9; Mac and Windows. Creates Scribus pages in the same way. Scribus is open source software and ScrImLay is provided by SCS free-of-charge for our Layout-8000 customers. ScrImLay is currently available for “Scribus” 1.4; Mac, Windows, and Linux. Please contact SCS if your version of your desktop publishing software is not listed here. All three tools include “Export Geometry” Commands for exporting final geometry to an e-tearsheets or paper checking system, for cases where the final geometry may NOT be what Layout-8000 produced, because paginators sometimes move ads around after the dummies are finalized. QuarkXPress is a registered trademark of Quark. InDesign is a registered trademark of Adobe.